Bottle Height: 5.5". Best Shrink Wrap Size: 80 x 55. COMMENTS: Very happy with these! They work great with thick lotion. I will definitely by more! COMMENTS: These are fabulous bottles! They look good, they are excellent quality but still pliable/squeezable, and they look very professional. COMMENTS: My products are delivered with style and ease using these bottles. I love them. "I need to just buy these in bulk!" COMMENTS: I exclusively use the 4- and 2-ounce natural Malibu tottle bottles for my goat's milk lotion. After some experimenting with different types I found that these are best for making use of every last drop of a thick lotion since they are easy to squeeze and sit on their top. Great quality bottles, make a lovely professional presentation with printed rectangular labels. I need to just start buying them in bulk rather than ordering a 12-pack every month! COMMENTS: These containers are perfect. Just enough squeeze to deliver thick lotion easily. I like that they are opaque and the colored lotions look really pretty. COMMENTS: I liked these bottle because they are a good fit for travel lotions. They can be displayed both upright or on there sides. The thing I like most about this product is that it is easy to fill. "4 oz. Malibu Tottle Bottles"
COMMENTS: These bottles are perfect for my body lotion. Easy to fill and customers love them because lotion is easy to get all the way to the end. COMMENTS: These bottles give my product a nice clean sleek look. I use them for lotion but I will try them out for body wash or shower gel as well. You can still see the colors of your product come thru even though the bottles aren’t clear. Very nice bottle that I will continue to use. COMMENTS: This bottle is a nice size to carry in handbag or gym bag. 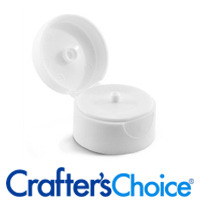 Also stands nicely on cap and easy to dispense lotions. COMMENTS: I love these 4 oz bottles. My thick lotion works wonderfully in them. COMMENTS: These are perfect for hand loations. I even use these for a coffee body scrub I make and I love it. COMMENTS: Perfect size. I love how the bottles look and so do the customers. Lotion comes out easy. To fill the bottles I put them in a cup and filled with a pump. Love everything about them. Will definitely buy again. 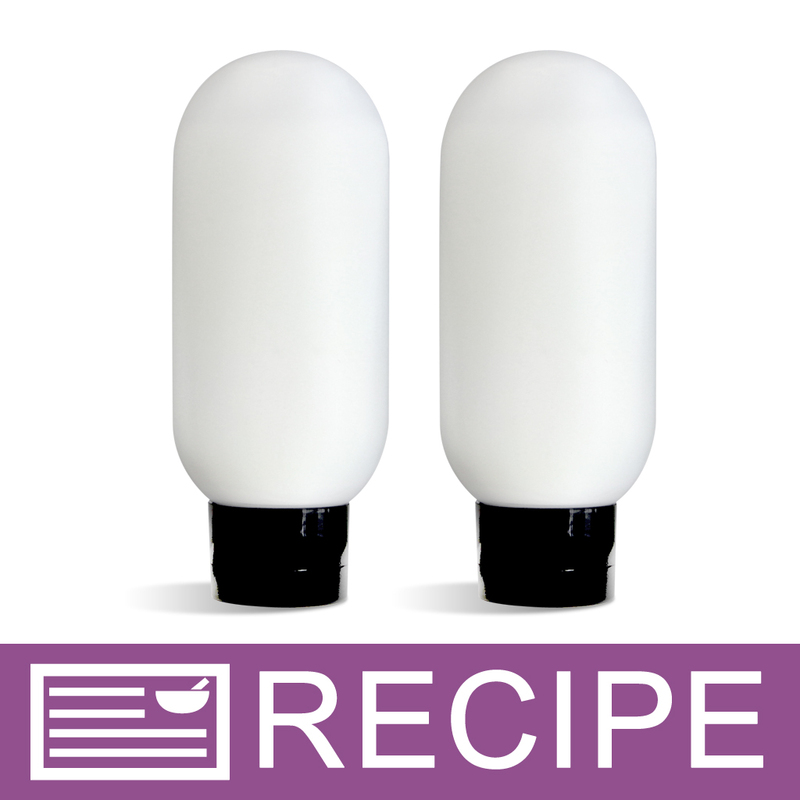 "Perfect size for small batches of soap." 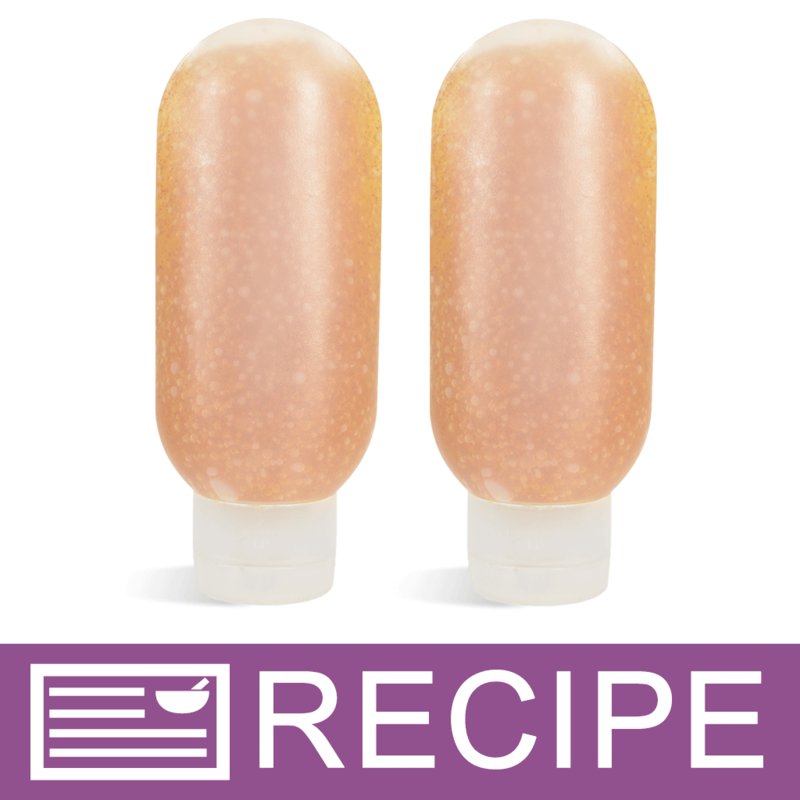 COMMENTS: I like making lotion in small batches, sometimes just 1 bottle at a time, and these are the perfect size! They are sturdy, not flimsy bottles. I love that they are designed to stand up on the end with the cap, that way the lotion is always pooled by the spout and you don't have to shake the bottle to get it out. 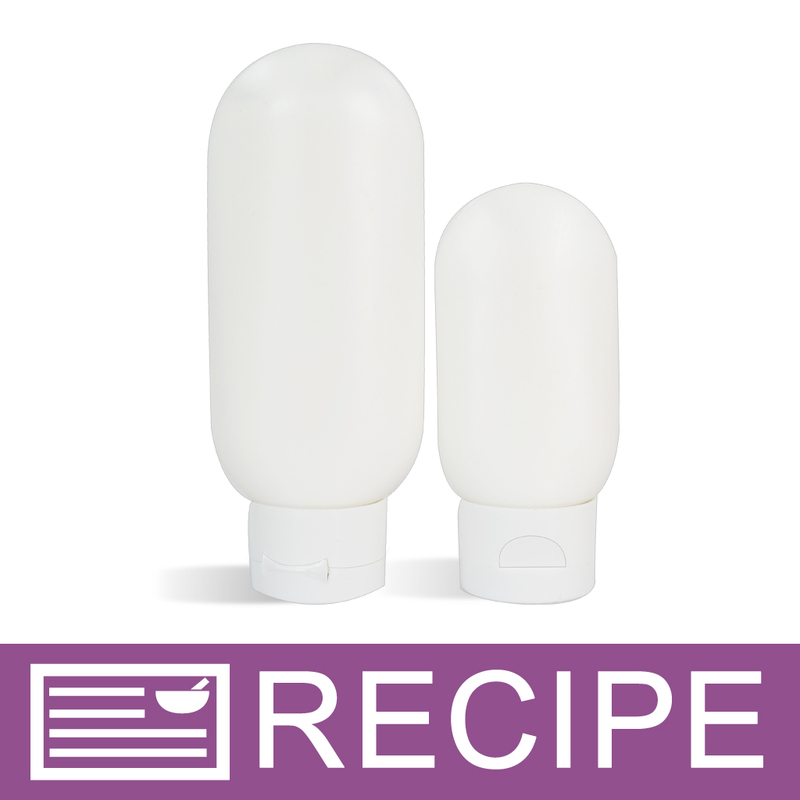 COMMENTS: I've searched high and low for the perfect squeeze bottles for my lotion and hand cream recipe... And finally discovered WSP tottle bottles! Perfect and consistent quality material bottles. I ordered the coordinating black flip top lids. 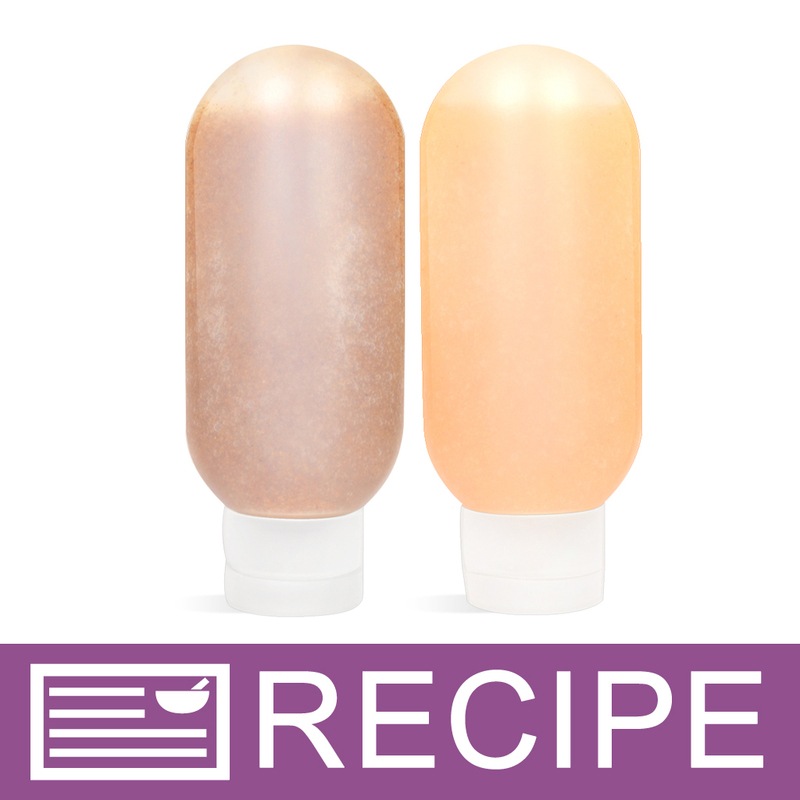 These bottles really allow my products to shine! They truly are an excellent product, that I can't be without! Will work with thinner lotion type products as well as thicker creams, without leaking! COMMENTS: These are by far the best bottles we’ve used for our lotion. We surveyed our customers and found they unanimously prefer the tottles over any other bottle. They like how gravity pulls the lotion down so it is always right there ready to squeeze out, never leaving “leftovers” that need to be scraped out. They’re the perfect size for your purse and desk. Customers like the smaller size so they can switch fragrances more often. COMMENTS: These tootles are perfect for my lotions, and they are all my wholesale customer wants for her retail shop. Win/win! COMMENTS: These are great containers to hold lotions. The size is great, and they are easy to squeeze even with thicker lotions. COMMENTS: Looks professional. Using for lotions. COMMENTS: My customers love these. I use them with the black tops and it looks very professional. COMMENTS: Love these bottles! I like that they are soft enough to squeeze your product out! Excellent value. COMMENTS: Amazing bottle not to big not to small perfect for hand lotion on the go. COMMENTS: Excellent quality bottles, I use these for lotions and they are very sturdy and don't leak. I love how they sit on the cap so you never have to try to shake your lotion out and they do not leak, these look high quality and professional! 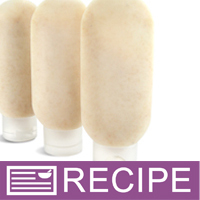 "4 oz Natural Malibu Tottle 22/400 1.5""
COMMENTS: I sell a lot of lotion and my customers love that they have the option to purchase smaller amounts in these tottles. Perfect for purses and backpacks. COMMENTS: I use these fabulous bottles for shaving cream soap, face wash, and oil cream soap. So perfect. COMMENTS: These bottles were part of the kit I purchased. They were easy to fill and very easy to use. COMMENTS: Perfect for in shower body conditioner that I make for my product line! Love it! COMMENTS: Lotions sell great in these tottles. I think that the shape and size is appealing. 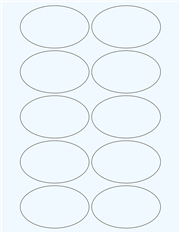 I use round labels, seems to be easier to place. COMMENTS: I like the bottle, but filling it is another story! The opening is small, and while you can use a funnel, it is difficult to fill because you need to hold the bottle in position due to the rounded top. It would be great if someone came up with a holder for these to hold multiple bottles for filling, similar to the lip balm stick holders! COMMENTS: These are big sellers for me for customers who want a bigger sized lotion than the 2 oz. 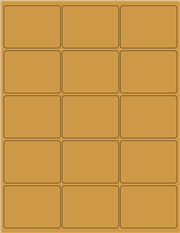 Tottle (which most consider purse size). They get quite a lot of lotion without committing to a large 8 oz. Tottle. They are more likely to pick up several different scents! Bottles are super easy to fill and label. I highly recommend them! "Excellent for travel size lotion!" COMMENTS: I use these regularly for my lotion. They are the most requested size. Great for the purse! "My only packaging I use for my lotions!" COMMENTS: Some might say that containers are just containers... not with WSP's Malibu Tottles! I absolutely love the feel of these, they have a high end touch to them. They are easy to fill, easy to label and my customers love that they can just throw them in their purses! I have also used the 2 ounce Malibu Tottles too and love them too. • High End Quality Feel of Them! "Great size and easy to fill." COMMENTS: I love these bottles. They are great for lotions and facial scrubs and wash. "Finally!!! The container I've been searching for!!" COMMENTS: This is the container I've been searching for to elevate my products to the next level! I was soo tired of using jars for my luxury body butters and scrubs, because the jars just didn't have the classy look I felt my products deserved. These tottles are soo cute and convenient too, now my customers can carry my body butters more easily in their purses, gym or work bags without worrying about leakages. Can't wait to try some of the other sizes in the very near future. I had a friend make m up some vinyl labels for these tottles and everyone was so impressed at my vendor show this weekend, and my sales were through the roof!!! COMMENTS: This is a great size, many customers wanted larger than 2oz but a large bottle. It still fits my product profile. COMMENTS: It took me a while to rate these, because I initially didn't know what I thought. I loved that they looked like they were out of a store, but I had the worst time trying to actually put product into them. I just wanted to give up & throw them away...wasn't worth it to me. Then after I used a bag to finally fill them, honestly, I felt like it didn't come out well. Luckily, I gave them another try, with a creamy product, but that wasn't as thick as the original, (it was still pretty thick), & it worked wonderfully. Rave refers, customers love the look & how well it works, & I've finally mastered how to fill the things, (I actually used a funnel...don't judge me, it worked for me). I'll be getting again. COMMENTS: I love these 4 oz Malibu Tottles for my lotions that are on the thick size. They dispense easily and there is no need to shake them since they rest on the cap and the lotion is always ready to dispense. 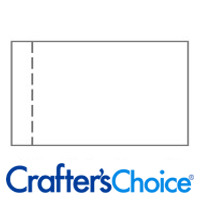 These are great quality and the outsides don't get marked up and look very professional. COMMENTS: I used these Malibu Tottles for lotion and they work great.The lotion is so easy to dispense and they look good. I will be ordering these in different sizes. COMMENTS: Love these natural malibu tottles! No worries about my lotion thickness because these malibu tottles were designed with the opening upside down. No more worries about lotion stuck at the bottom of the lotion bottle. These natural malibu tottles are also easy to squeeze and are not flimsy. I will buy again. COMMENTS: This bottle is great for purse sized lotions! My customers love it and I plant on stocking up on them soon. COMMENTS: Looked everywhere for these. All of the Tottles I found the shipping was more than the items. Just the right size I was looking for.Thanks for the great price, now I can get going with my cream soaps. "Great for a variety of products." COMMENTS: I got these for one specific recipe and found I can use these for so so many other items. Love the shape and it makes the products look great. Great quality. COMMENTS: perfect bottle for lotions!! COMMENTS: Nice to grip. Handy size. Opening large enough so there is no need to struggle pouring product in. COMMENTS: Used for lotions. Struggled to find something to put the bottles in to hold it upright to fill them other than a jar. My husband suggested a 1 1/2'x 2' block of foam with slits cut into it to place bottles in while filling. I place bottles in the slits, about 12 -18 cuts in the foam, and fill a dozen bottles at a time. Works great.. COMMENTS: These bottles gave my line a sleek, more professional appearance. Customers like them much better than the boston rounds with pumps. They like that these are easy to dispense and are portable. Will be purchasing more in the future. "Nice size for hand lotion"
COMMENTS: Use them for hand lotion. Customers like that they can be thrown into their handbag or put in a desk drawer at work. COMMENTS: I love this bottle! I was using jars to put the Satin and Silk Lotion in but I like these bottles so much more! I sell that lotion as a hand cream so these bottles are the perfect size for desk, purses, etc. The Satin and Silk is easy to pipe right in. It takes some taping of the bottle but that's expected from a thick lotion. My customers love this look so much more than the jars, plus they're more sanitary. I think I might get the 2oz. size around the holidays for stocking stuffers! 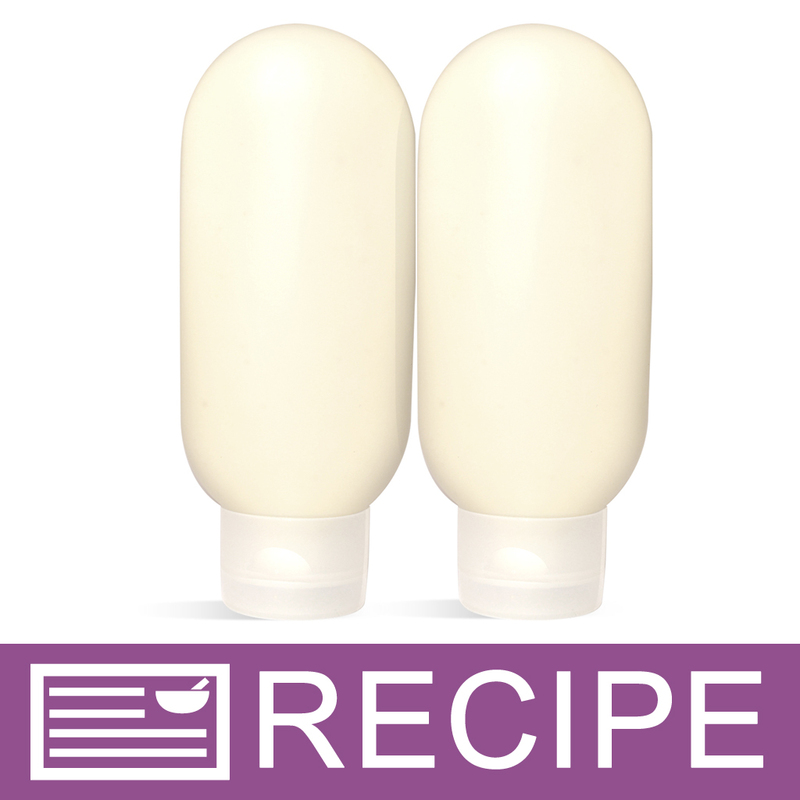 "4 oz Standard Malibu Tottle"
COMMENTS: 4 oz Standard Malibu Tottles helped me increase my body butter line by adding the squeeze bottles which customers love. COMMENTS: These came in a kit I got to make a pre-shaving scrub and looked great with the scrub inside and I love the design! Will definitely be purchasing more of these in the future! COMMENTS: Pretty presentation. These 4 ounce bottles with the lids look very nice in a display. Customers love them, the lotion bottle sits lid down, so all product can be used. We will always carry them in our inventory. People request them. They are difficult to fill, however, we will continue to offer them. COMMENTS: This size is my top seller for lotions. It is the perfect size to slip into a purse or for somebody to try a new scent before they buy a bigger size. The bottles hold up to abuse inside a purse well and do not leak. COMMENTS: I just started using these for lotion in place of pump bottles. I love them! The make a professional presentation and my customers can get every last drop of lotion from the bottle. COMMENTS: These 4oz bottles are the perfect size. They are flexible and squeeze easy, where other bottles don't. COMMENTS: In my opinion, these bottles are the best for lotions. Great quality and price. COMMENTS: I love this size, it is just right for my pet shampoo. COMMENTS: Love these - perfect for my lotions, large enough to have a decent amount of product but small enough to fit it your purse - gorgeous shape, too! 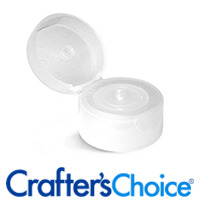 COMMENTS: I use these to package my goat milk lotion and they are wonderful. The opening is large enough to facilitate my ultra thick lotion...and the product still dispenses perfectly every time. They are sturdy and easily stand on end for a nice clean presentation. This is a keeper for sure for Jubilee Bath & Body! "Easy to use, nice appearance!" COMMENTS: I love this bottle. Plastic is easy for squeezing contents out, can put label on easily due to nice flat surface. 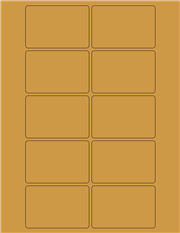 Somewhat transparent so you can see contents. COMMENTS: I bought these for lotions!! They are exactly what I was looking for and the perfect size. Perfect size for a purse or bag!! Will definitely be using this a lot!! COMMENTS: Great bottle, customers love them! • more lid colors maybe? COMMENTS: I use these for lotions and they work great! They're easy to fill, and easy to squeeze. My customers love them! COMMENTS: I use this product for sun screen lotions and my hair products. It is a very good size for medium pricing. It is easy to fill and stands up nicely when filled. It stores easly as well. I like that it is offered in small quantities too. • Quanties it is offereed in. COMMENTS: The 2 oz and 4 oz Malibu Tubes are just right for lotions. Put them easily into your purse or carry-on bag for travel. I started with the 2 oz size. It has been very popular. Now my repeat customers want the larger 4 oz size. Please bring back the 8 oz size!! "Perfect size and shape for kids"
COMMENTS: my very first order for my line. Some further use and i found this size and shape is perfect for kids lotions and bath products, and so it is. I so was hoping on an 8oz size for adult products as well. "Love this tottle! Easy to fill!" COMMENTS: Nice heavy plastic, looks nice and professional! COMMENTS: The bottle is fine but even though the lids I bought for it technically fit they look way too big. It is a 22/400 lid with a large opening. I would perhaps just have a warning that these lids don't fit small bottles well. COMMENTS: I ordered several hundred of these bottles for my lotion, despite having never sold lotion, with the belief that if I acted successful in this venture, I'd be. It has proven effective, thankfully. Labels adhered well to the bottles, and they are perfect purse-size. Must advise others to wait for labeling until after filling as bottle is threaded in such a manner that caps go on only 1 way. COMMENTS: Fits so easily in your hand! Holds a good amount of lotion. COMMENTS: I just loved this bottle, will continue to order, just wished they came in bigger sizes. These are great for lotions and shower gel. I really like the shape of this, very easy to squeeze lotion and liquid soap out. COMMENTS: Will definitely continue to use!! COMMENTS: Works great for my lotions and body washes! "just the right size for my lotions!" COMMENTS: Love these for lotions, my lotion is really thick and fluffy. These worked perfectly for dispensing! COMMENTS: This bottle is a nice tough bottle...great quality! COMMENTS: I just started using this for my body lotions and I also got the flip top lids. I believe my customers are going to love the easy use of these. I will be ordering a lot of these. COMMENTS: Love the way these bottles stand on their heads making the product available to the user. Oval labels fit well and look nice. 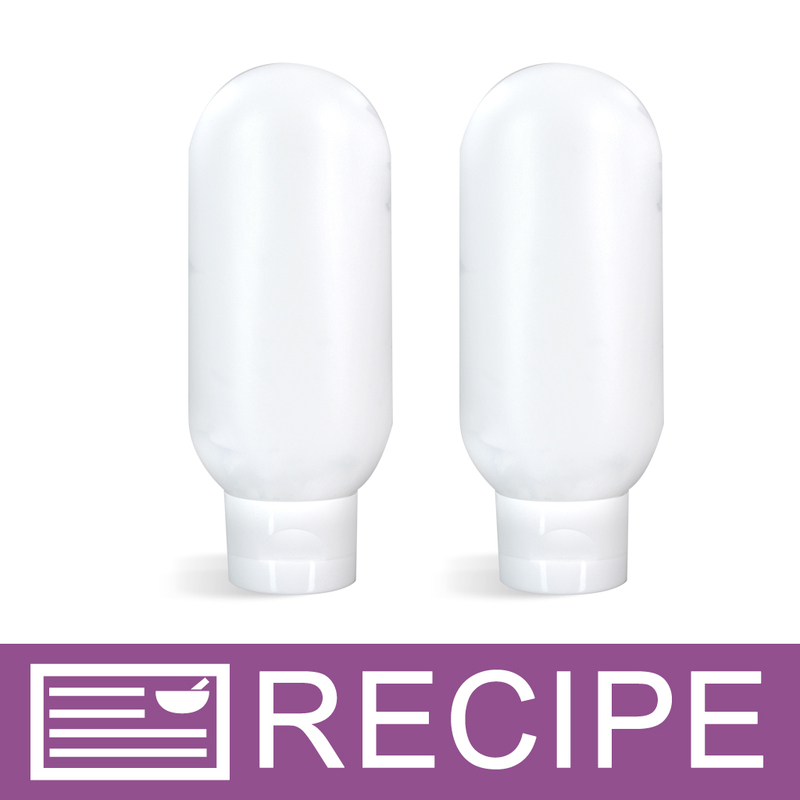 COMMENTS: These tottles are perfect for test batches of any liquid, sales to those who want to try out a product before buying a larger amount, and sales to those who don't think they will need a larger amount. I stand mine on the cap and never have to worry about getting the last bit down to the opening. COMMENTS: Use these all the time for my lotions!! COMMENTS: Work excellent for our lotions. COMMENTS: Love this size. Customer's love this size too. "What size seal fits these bottles?" "What's the best way to prop or stand a bunch of these bottles up for filling since they don't have flat bottoms?" Staff Answer We usually try to prop the bottles in an empty silicone loaf mold or even just a cup to keep them standing upright. "which cap would you choice for sugar scrub?" 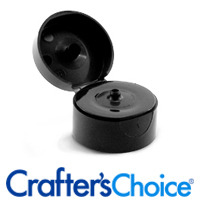 Staff Answer We offer a 22/400 cap with a scrub opening but it is a 2" cap which fits the 8 oz. Malibu. We do not have one that fits the 2 and 4 oz. Malibu. "What does the HDPE mean and how is it different from LDPE?" Staff Answer Both HDPE and LDPE are types of plastic. HDPE is High-Density Polyethylene and LDPE is Low-Density Polyethylene. HDPE is flexible but more rigid than LDPE. "Has anyone ordered labels for these bottles? There are no dimensions on the website and I'd like to get some from onlinelabels.com"
Staff Answer Due to the shape of the tottle bottles, we recommend you purchase the product first, so you can figure out how you would like your label to look on the bottle. These tottles from top to bottom gradually gets larger with the largest part being on the bottom while standing up. Also the bottle itself curves from right to left as well. So again, we recommend having it in hand prior to ordering labels. "What is the best way to fill these bottles if I want to put a thicker facial cream into them?" Staff Answer You could try putting the cream into a piping bag and filling your bottles that way. "Would these be good for a thick lotion?" Staff Answer Yes this bottle is fine for a thicker lotion. Yes, because they are easy to squeeze and the opening is not too small. Yes, they would be great for thick lotions. I have used them with my very thick body butters and have had no problems. The lid securely snaps in place and they would also be great with sunscreen in them. 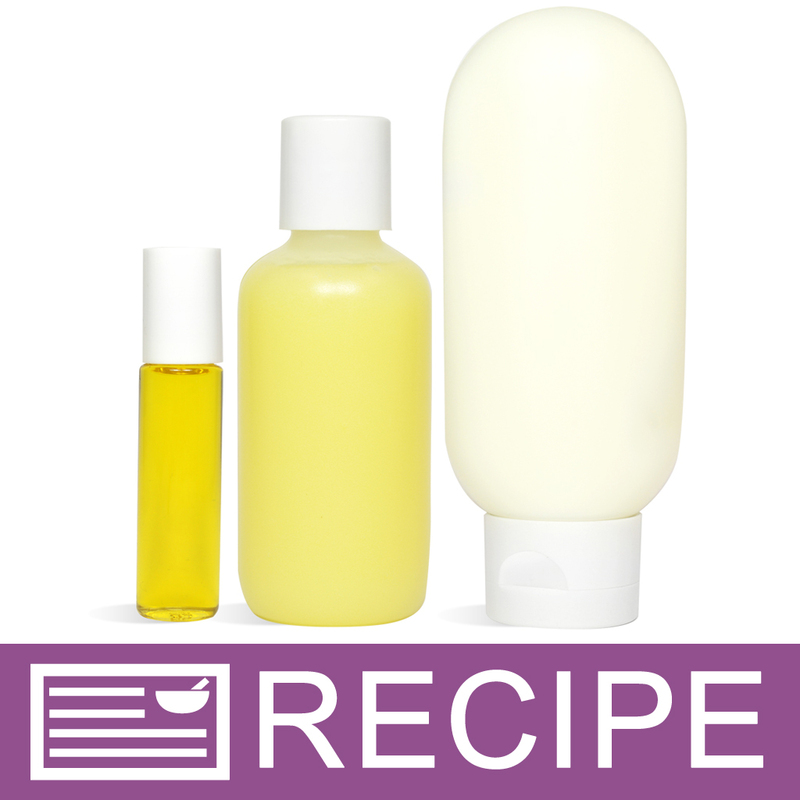 "I purchased these bottles thinking they would be perfect for sugar scrubs. Any suggestions on how to get the sugar scrub into the bottle?" Depending on your recipe, it may also be tough to get out. If they can be squeezed out without a problem, you can load the bottles with a baster. "Are these translucent or white bottles?" Staff Answer Our Malibu Tottle Bottles have a frosted clear look to them. They are not white. "how wide are these bottles?" These are 2 1/2 inches across, 4 3/4 inches high.